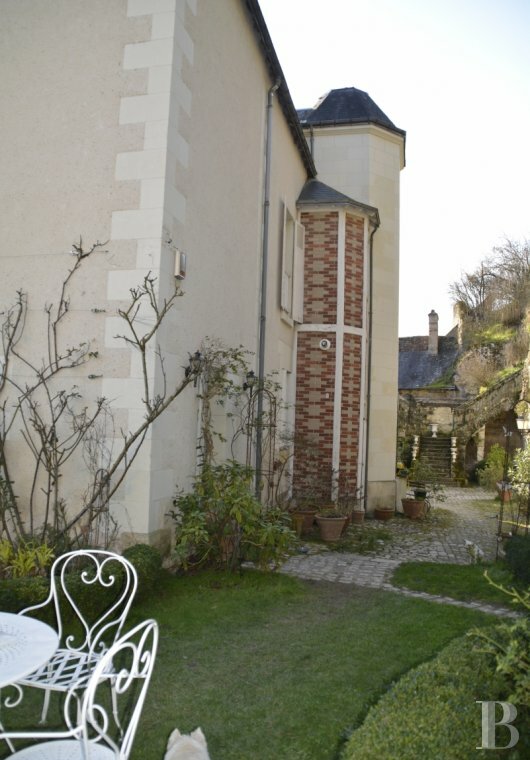 Just a stone’s throw from the banks of the river Loire. The centre of the historic town of Tours is but 10 minutes away by car or bus and just a few additional minutes on foot or by bike. Local shops and all schools are also within walking distance. The TGV train station, with its 60-minute links to the French capital, is 10 minutes away. 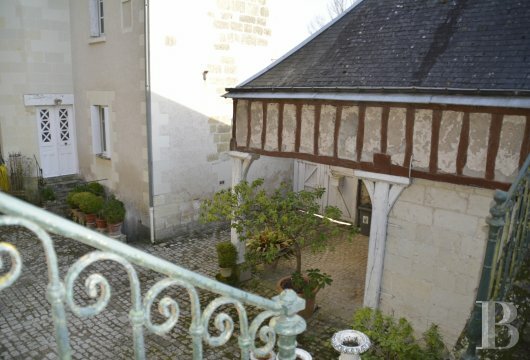 On a little, quiet, still partially paved street, in the shadow of a church, this property can be accessed via double wooden gates, topped with a triangular freestone pediment and flanked by freestone pillars. The facade of the house and the perimeter wall run alongside the road. A wooden gate set in the stone wall can be used by pedestrians. 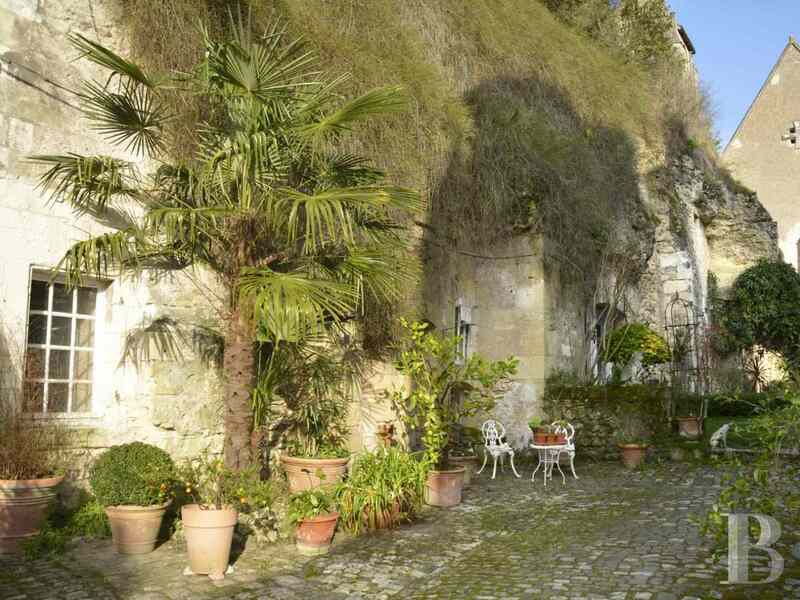 At the back, an attractive paved courtyard and a priest’s garden are bordered by the flower-covered hillside, hewn with several troglodyte caves. 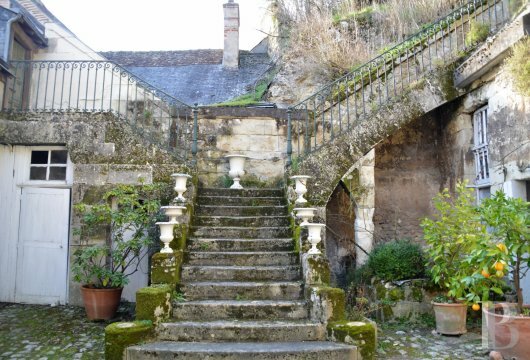 In the garden, a double, stone stairway, with wrought iron railings, goes up to the attic of an outbuilding on one side and to the hillside, looking down on to the property, on the other. 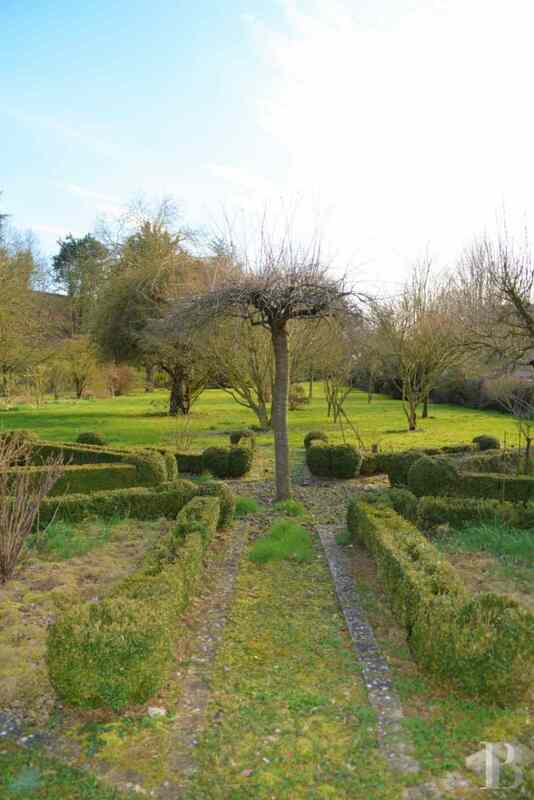 Facing the house is a superb plot of verdant land, planted with trees and boxwood hedges. 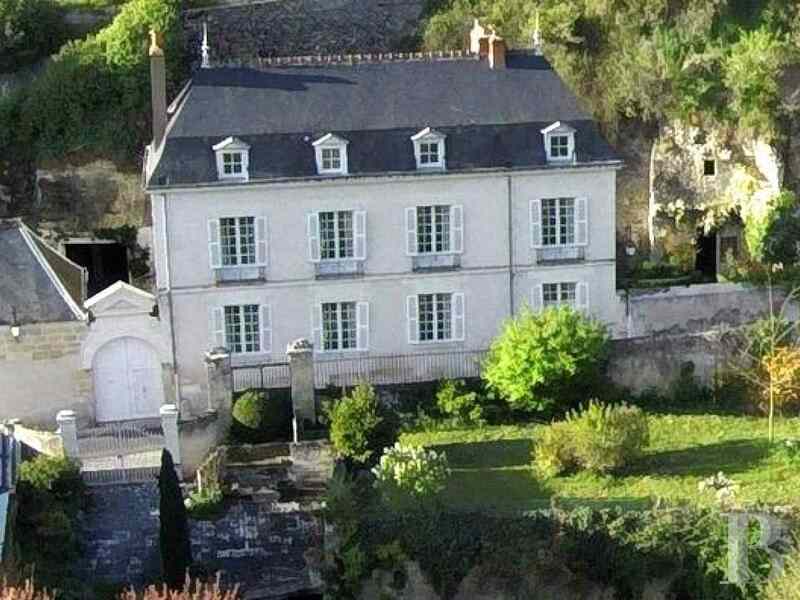 This land provides access to the banks of the river Loire, on to which open double, metal gates or a clever, vaulted tunnel, linked the one of the house’s caves. The openings on the south facade are perfectly balanced, with four windows framed with freestone on the ground floor, four on the first floor and four protruding roof dormers set in the slate roof. 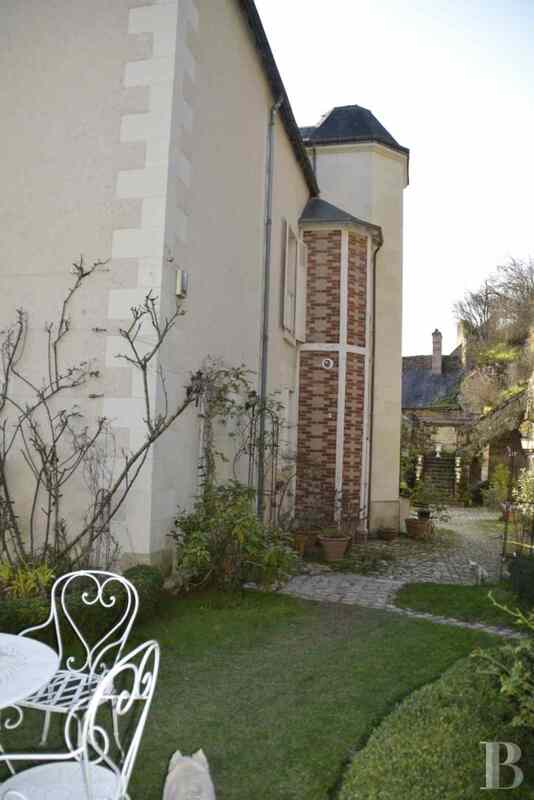 The house has numerous openings on the courtyard side and features two attractive towers. A small, narrow one, made of bricks, houses a boiler room and a bathroom. Whilst the other, pentagonal tower, more impressive in appearance and made of white freestone, is topped with slate and an atrium. It houses an oak wood stairway, providing access to all floors. The main entrance, on the west side, has a stone porch, protected by wrought iron railings. Spanning approx. 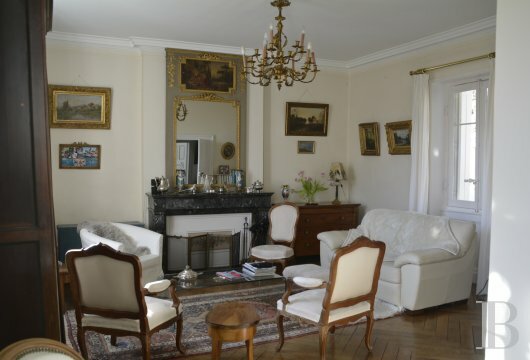 220 m² of living space, this house still has all of its original features and the layout of its rooms makes it an extremely pleasant place to live. Double, wooden, glazed doors open into a hall, with small multi-coloured floor tiles and the stairway. A lounge, on the right-hand side, is made bright courtesy of two south-facing openings. 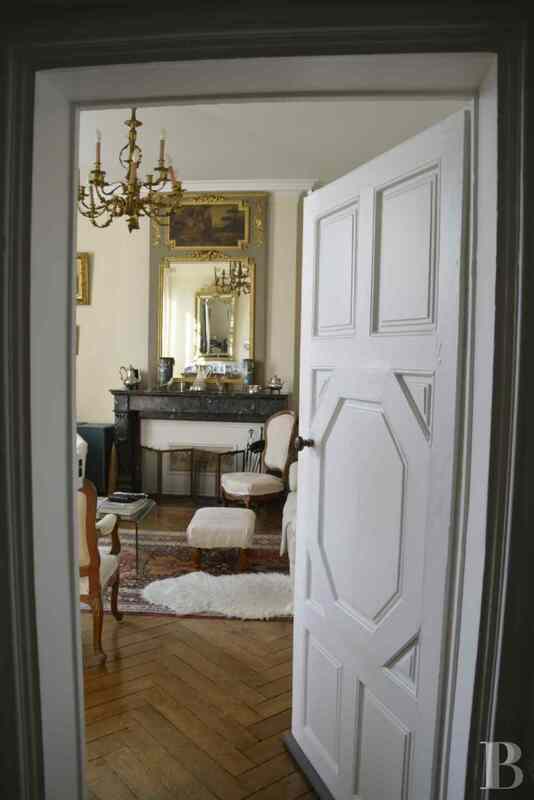 It is enhanced by a fireplace and herringbone pattern parquet flooring. 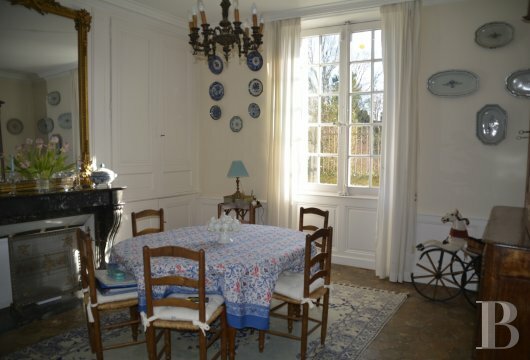 A dining room, on the left-hand side and also facing south, has hexagonal terracotta floor tiles. 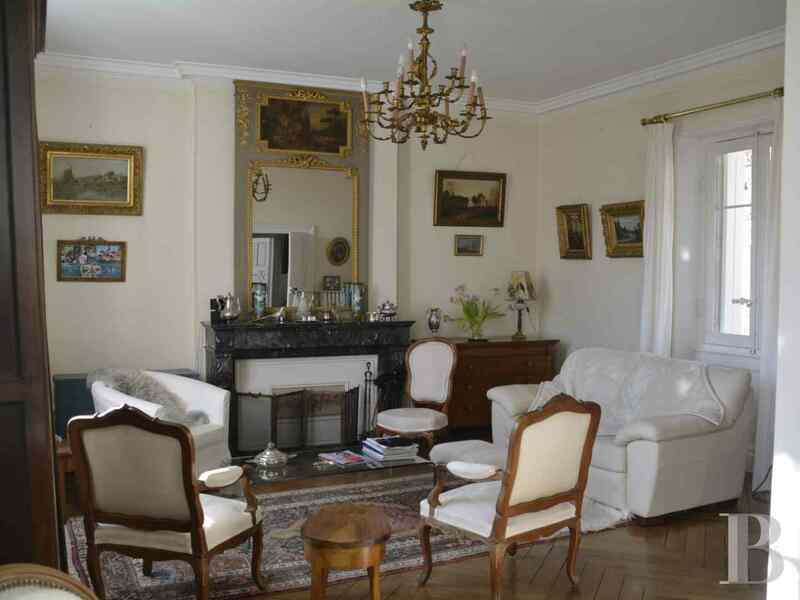 Its marble fireplace is flanked by large cupboards. A large, adjoining kitchen is also extremely bright courtesy of its many openings. 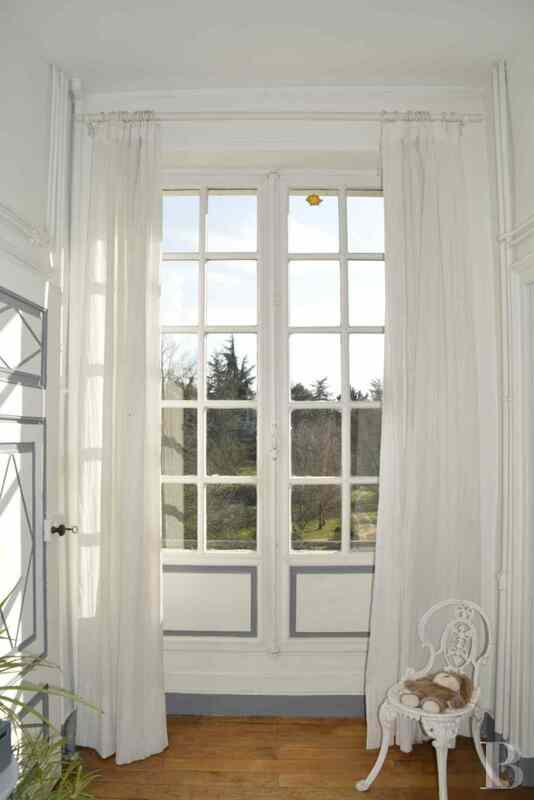 Each of the ground floor rooms is steeped in natural light whether it looks out on the side of the river Loire or that of the courtyard and the flower-covered hillside. 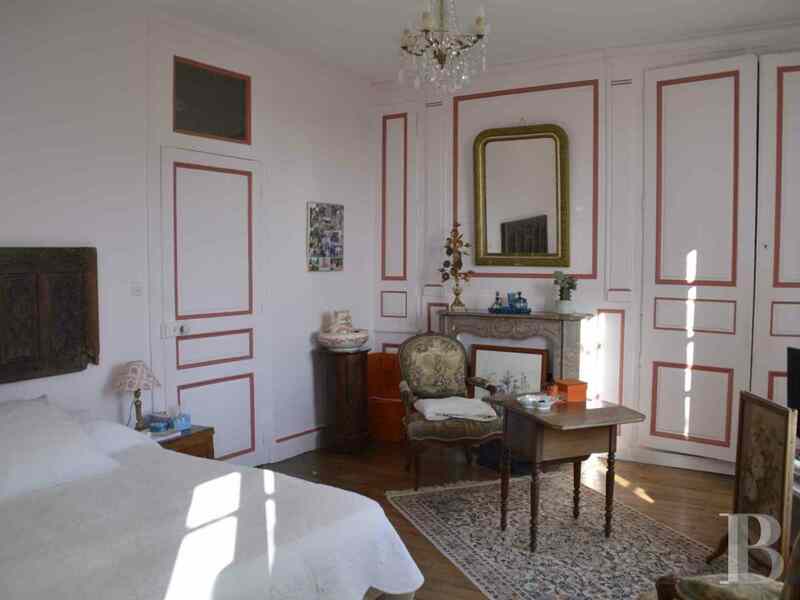 The perfectly luminous first floor has parquet flooring throughout. Its landing leads to bedrooms and bathrooms. On the north side is a bathroom. On the south side, a first bedroom, with a fireplace, communicates with another bathroom featuring an old bath. 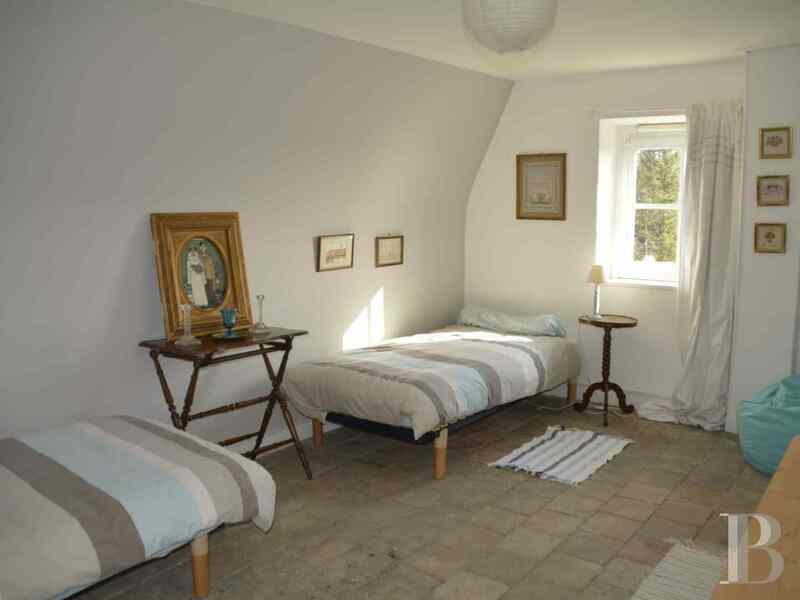 This, in turn, provides access to a second large bedroom which can also be reached via the landing. It has a fireplace flanked by cupboards. A third, south-facing bedroom, or study has a fireplace and herringbone parquet flooring. The separate toilet has a wash-hand basin. 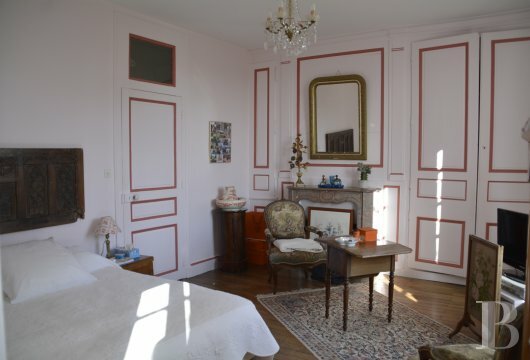 The former attic at the top of this house has been perfectly converted, preserving the high ceilings. 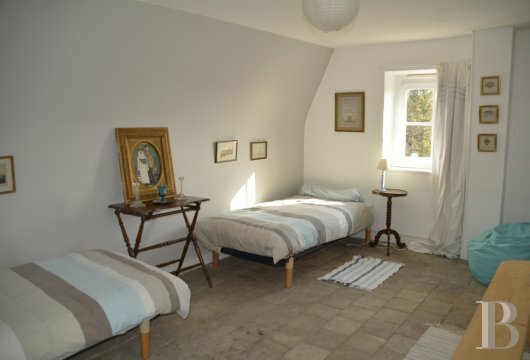 The landing, with its terracotta floor tiles, provides access to three large bedrooms on the south side as well as to a shower room with a toilet. This 18th century residence comes with many practical outbuildings, all dating from the same construction period. The first is an elegant freestone building, partially featuring half-timbering. It has a slate roof. The inside comprises a room, with a fireplace and terracotta floor tiles, extended by a covered outside area. The upstairs attic, steeped in character, can also be reached via the stone stairway in the garden. 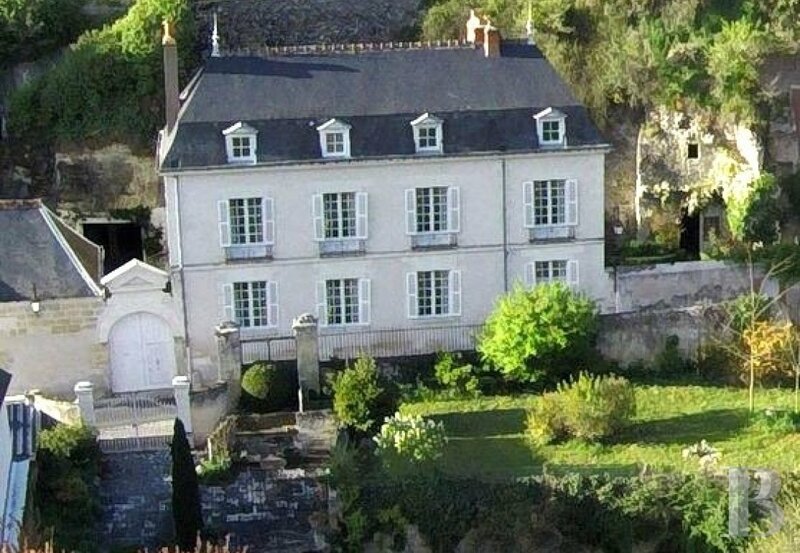 Six vast troglodyte caves hewn in the hillside face the house. 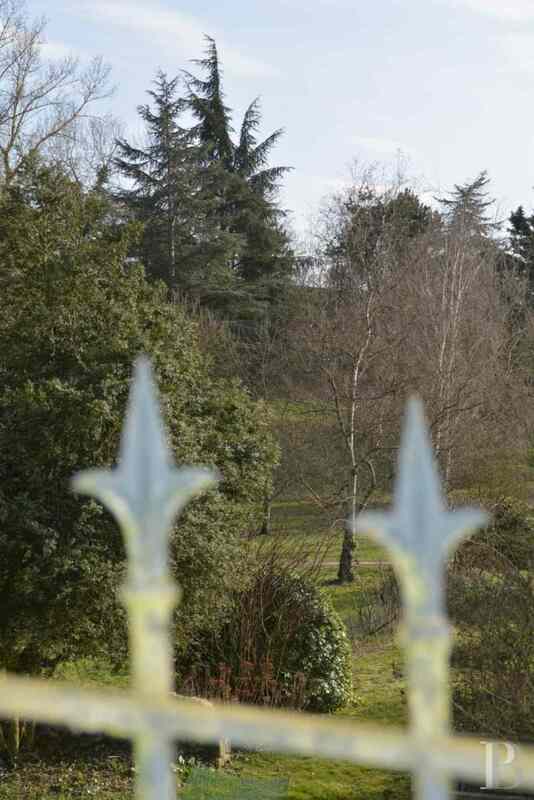 They are accessed from the courtyard. Some have terracotta tile flooring, whilst others have packed mud floors. 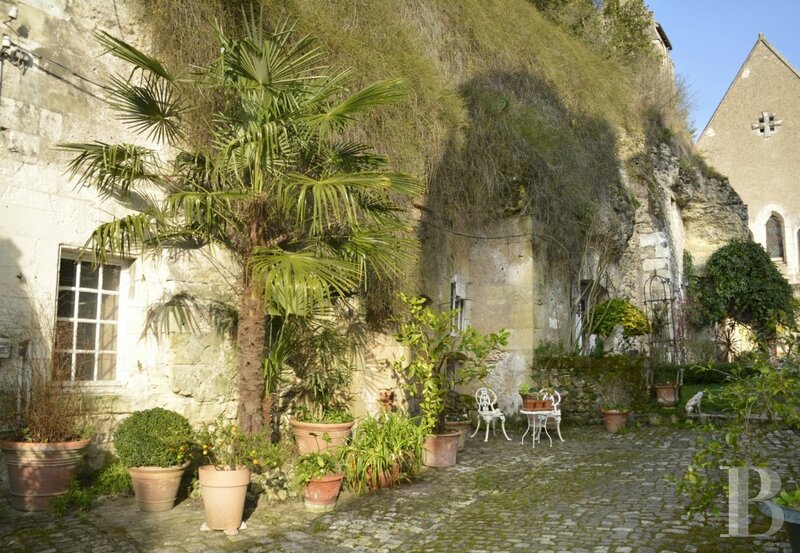 They are used as a linen room, an orangery, a wine cellar, a woodshed and a garage. 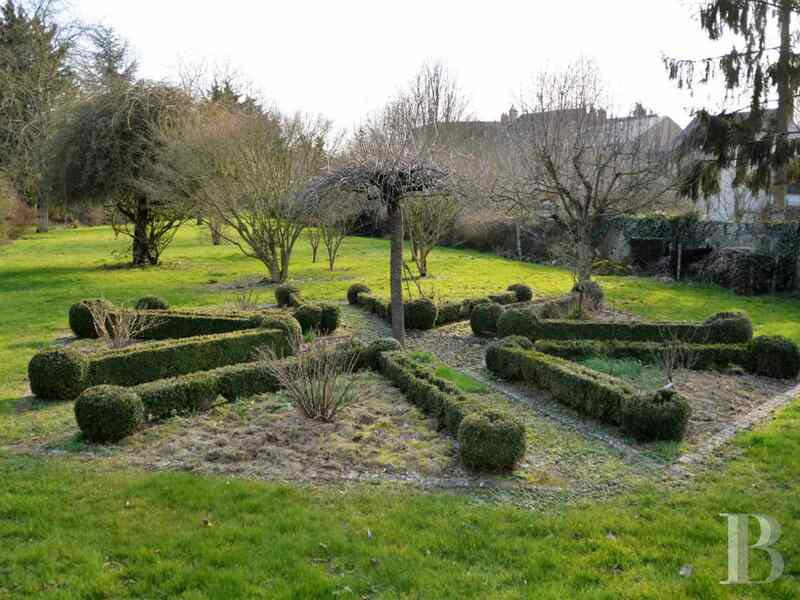 A superb, vaulted cellar, under the residence, houses a well and provides access to the property’s verdant plot of land via a clever tunnel. 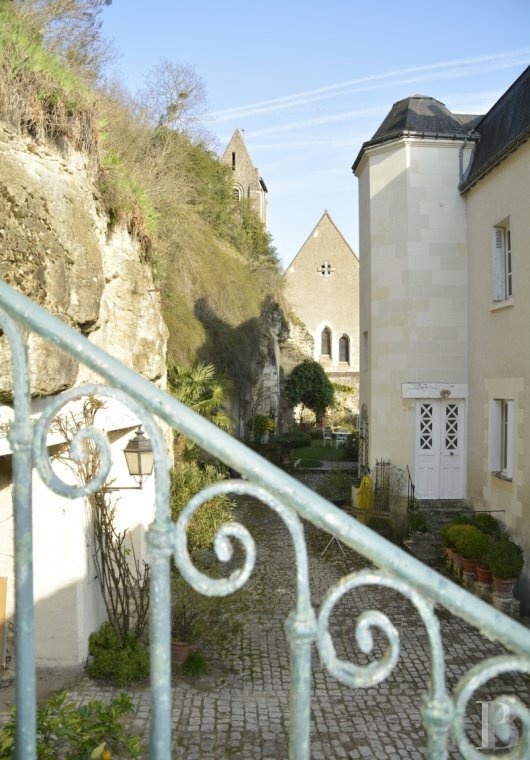 On one side and behind the house is a paved courtyard, providing access to the caves. 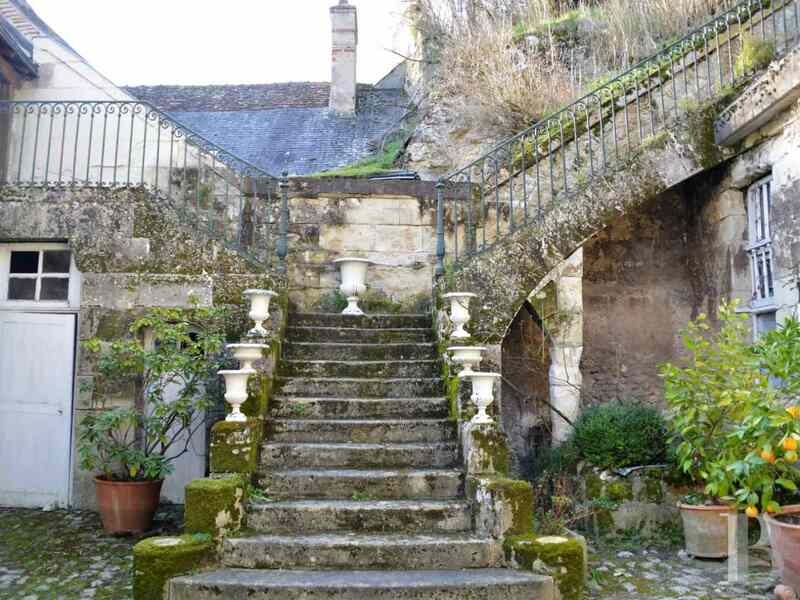 A magnificent, double, stone stairway, which leads to the hillside and the attic of one of the outbuildings, enhances the west side. 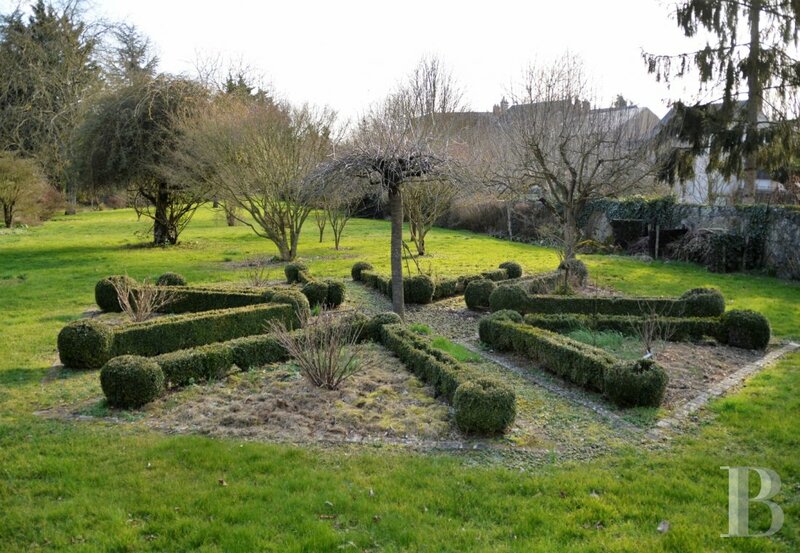 A priest’s garden on the east side can be directly accessed from the kitchen. It makes a wonderful outdoor eating area when the weather is clement. A plot of land, facing the house on the south side, is planted with trees and ornamental boxwood. Spanning approx. 2,800 m², it extends as far as the banks of the river Loire. 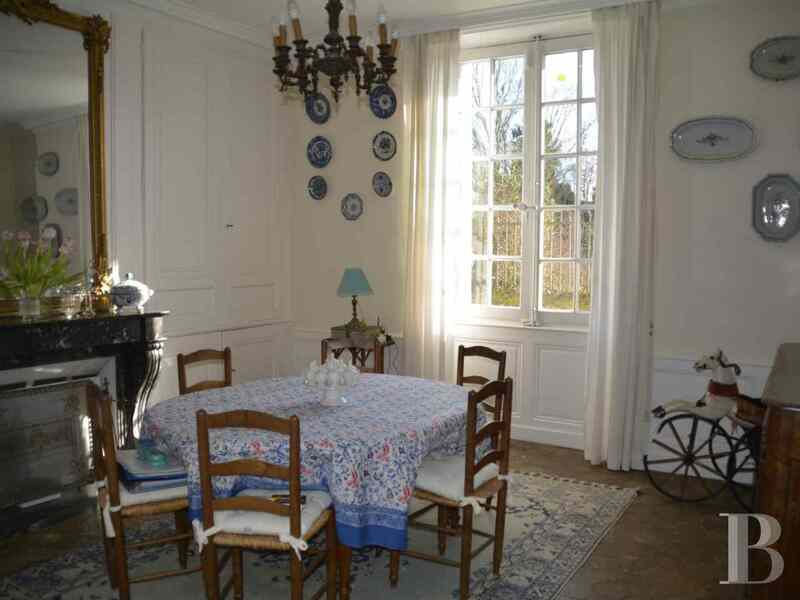 Set between the town and the countryside, this residence, typical of the local area, should easily find a new family. 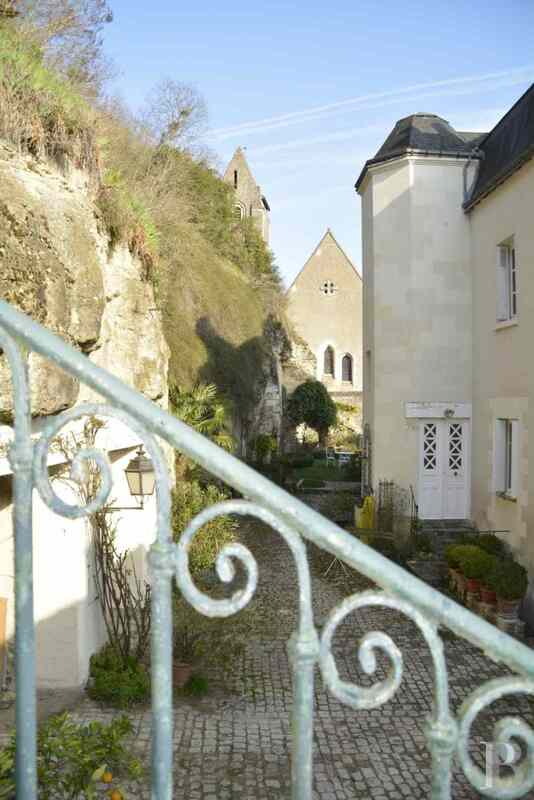 From the troglodyte caves, set in the hillside, to the banks of the river Loire, the difference in the varying levels forms a natural theatre, to which a Y-shaped stairway notably bestows a majestic style. 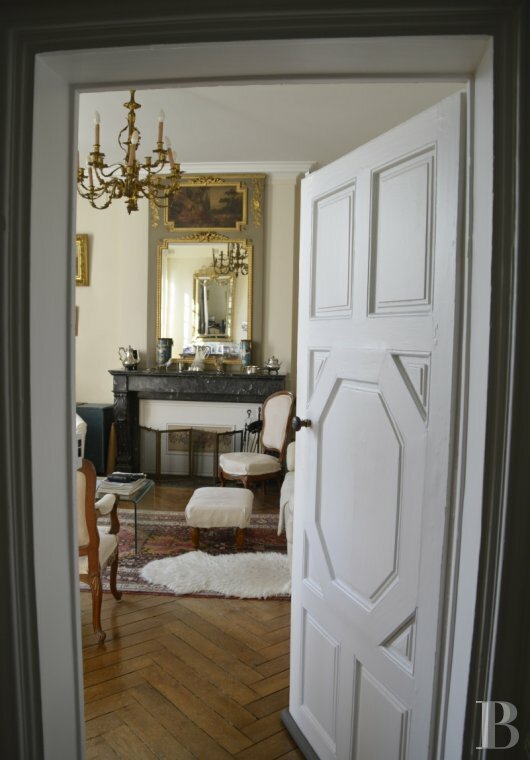 Large openings, so dear to the 18th century, let copious amounts of light into the house where the perfection of the design of the moulding on some of the doors is impressive. This residence is well laid out, whilst the courtyard and the garden are full of nooks and crannies which can but please adults and children alike.